Today's post tackles the third high value in the Centennial series: the 15c Bylot Island, by Lawren Harris. Bylot island is in part of what used to be the Northwest Territories and is now Nunavut. Next to the 10c this was the second most heavily printed high value. The reason is because the foreign airmail rate to Europe was 15c during the life of this issue. So, the vast majority of covers to those destinations would have had the postage paid by a single 15c stamp. 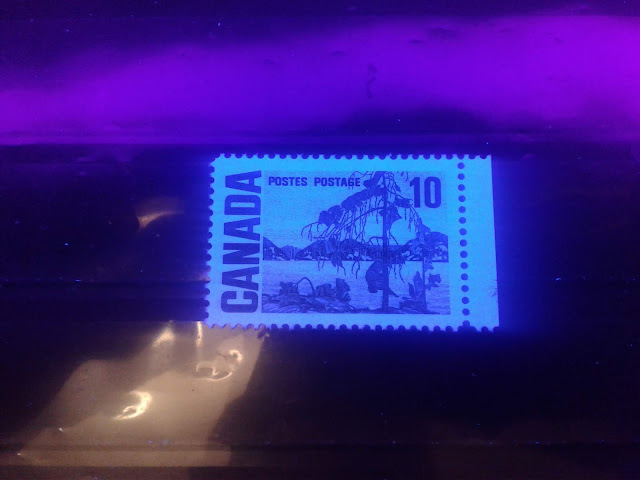 The demand for these stamps would have led to many printings, and of course a very delightful array of collectible varieties, including many rare plastic flow varieties that are now listed in Unitrade. 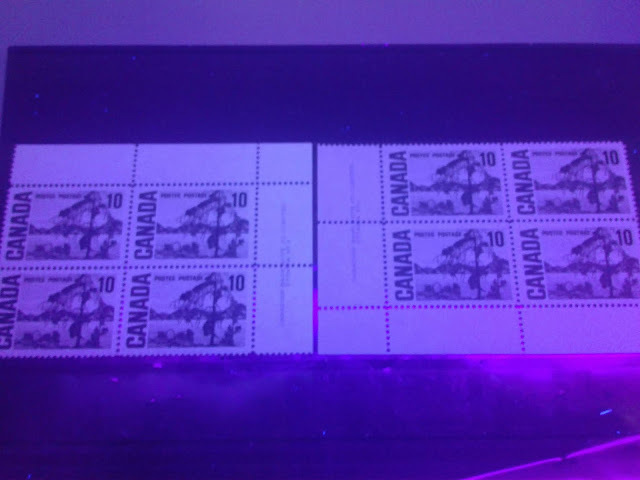 In keeping with the method I followed in dealing with the 10c value, I am going to separate these by gum type and then cover this value in two posts: one for the dextrose gum stamps, and one for the PVA gum stamps. 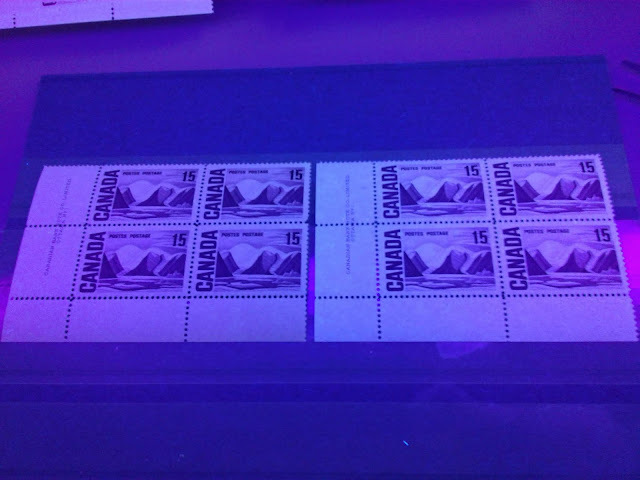 Today's post will look at those stamps issued with Dextrose gum.